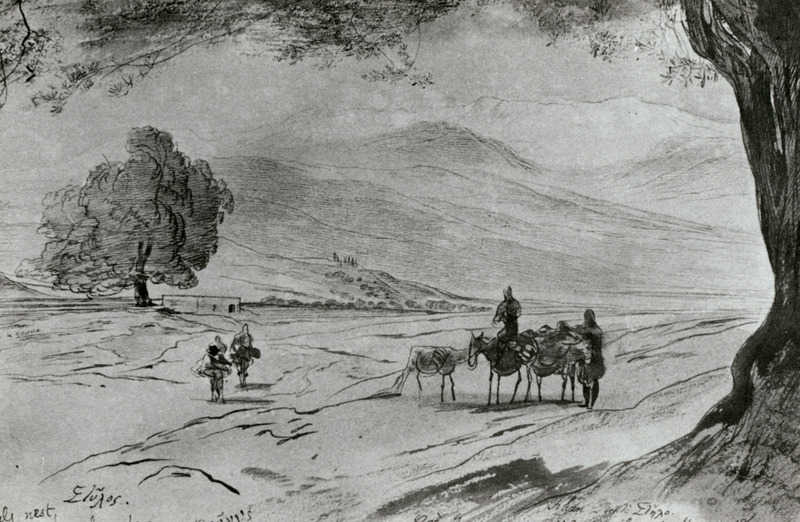 Landscape on the road to Fres Apokoronou, 24 May 1864. On the road from Phré, 11.30 a.m., 24 May. LEAR, Edward. The Cretan Journal, Athens – Dedham, Denise Harvey & Company, 1984.